Click anywhere on blank Desktop area. 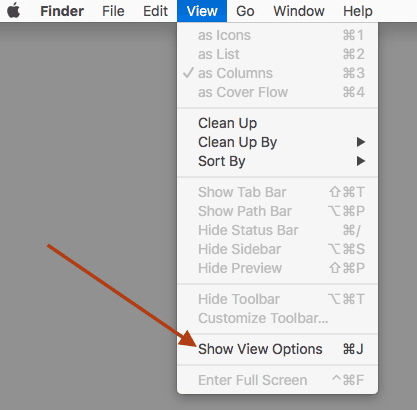 Click on View option in Menu Bar (Or use Command J shortcut). Use the icon size slider to change dekstop icon size.